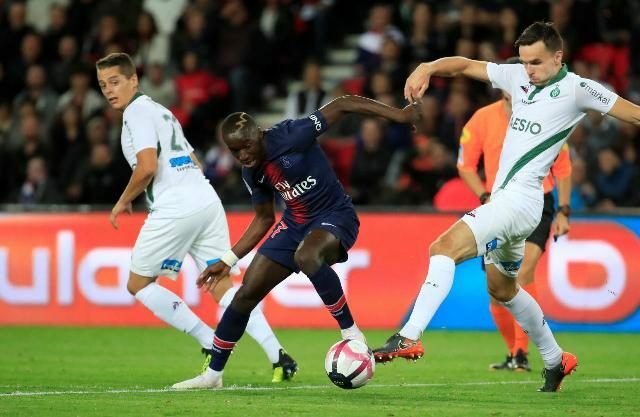 Paris Saint Germain’s teenage winger Moussa Diaby scored his first goal for the club to complete a 4-0 rout of St Etienne and make it five wins in five Ligue 1 games for the leaders ahead of their Champions League clash at Liverpool on Tuesday. He found the net in the 22nd minute, controlling Marco Verratti’s lofted pass with his head before deftly nodding the ball over onrushing goalkeeper Stephane Ruffier. Cavani made it two early in the second half after he was pole-axed in the box by Loic Perrin before getting up to slam home the resulting spot kick, and Di Maria netted PSG’s third by sweeping the ball home in the 76th minute. The 19-year-old winger Diaby, having replaced Lassana Diarra at halftime, popped up at the far post to rifle home Cavani’s mis-hit shot in the 86th to open his account for the champions. Earlier, Nice came from an own goal down to beat Rennes 2-1, with Pierre Lees Melou grabbing the winner in the 89th minute after Allan Saint-Maximin had levelled to spare the blushes of Malang Sarr who put through his own net just before the hour.